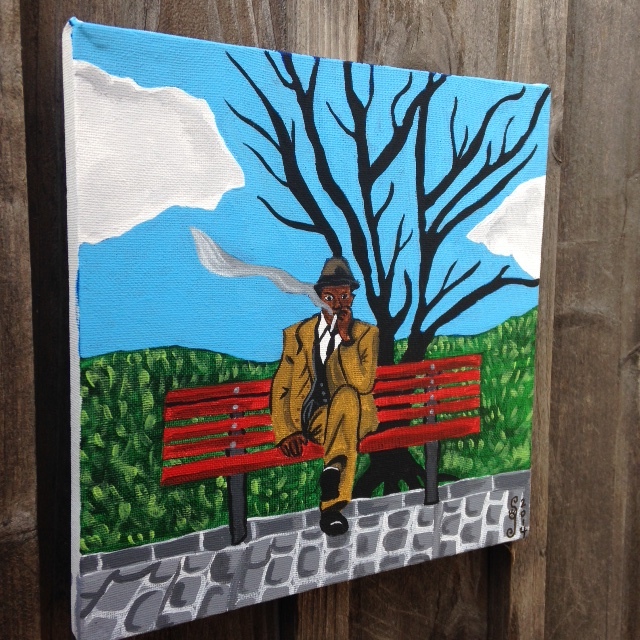 It’s Day Twenty-Four and that means…24 paintings! Today’s painting was surprisingly difficult. 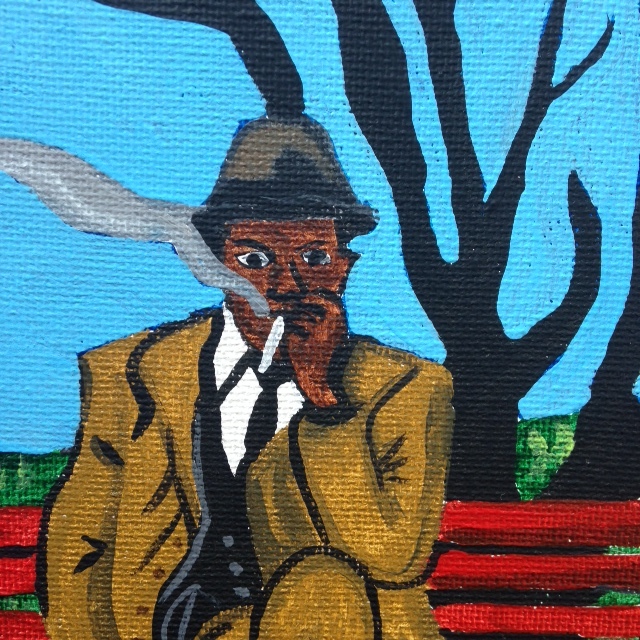 Although the artist is classified as a naive/primitive and self taught painter, there’s something that was hard to capture when I painted my piece in honor of him. 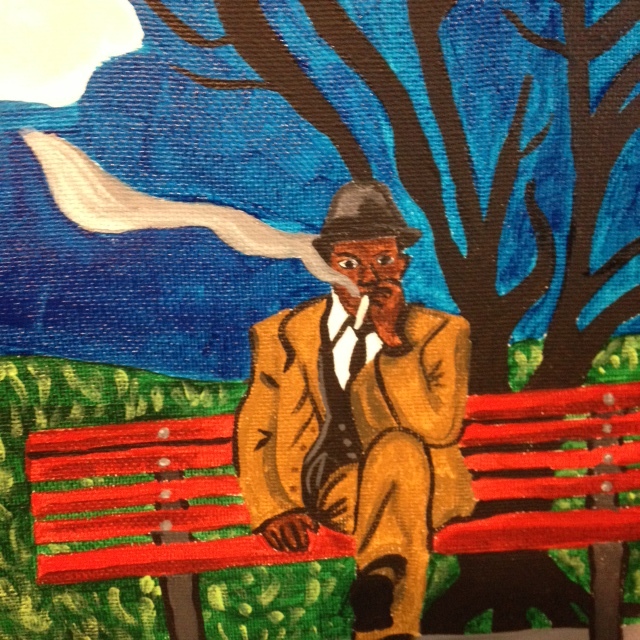 He embodied something raw that I felt like I was missing in my artwork. 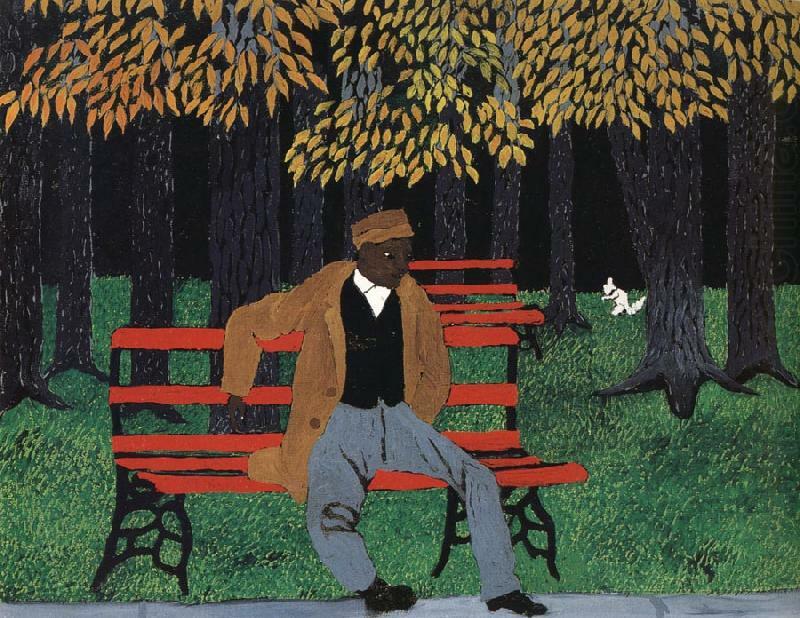 Something subtle and emotional maybe…Let’s all learn about this wonderful artist, Horace Pippin! 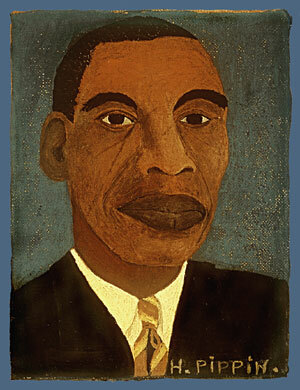 Horace Pippin was born in West Chester, Pennsylvania, and grew up in Goshen, New York. There he attended segregated schools until he was 15, when he went to work to support his ailing mother. As a boy, Horace responded to an art supply company’s advertising contest and won his first set of crayons and a box of watercolors. As a youngster, Pippin made drawings of racehorses and jockeys from Goshen’s celebrated racetrack. Prior to 1917, Pippin variously toiled in a coal yard, in an iron foundry, as a hotel porter and as a used-clothing peddler. He was a member of St. John’s African Union Methodist Protestant Church. Horace Pippin, Portrait of Marian Anderson, 1941.
the way I came through that terrible and Hellish place. For the whole entire battlefield was hell, so it was no place for any human being to be. While in the trenches, Pippin kept illustrated journals of his military service, of which six drawings survived. Pippin initially took up art in the 1920s to strengthen his wounded right arm; his activity as a painter began in earnest around 1930, when he completed his first oil painting, The End of the War: Starting Home. 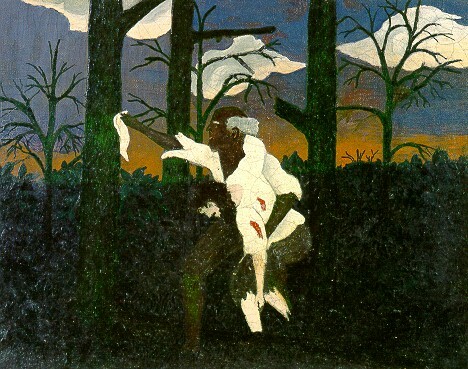 By the late 1930s, critic Christian Brinton, artists N. C. Wyeth and John McCoy, collector Albert C. Barnes, dealer Robert Carlen and curators Dorothy Miller and Holger Cahill championed Pippin’s distinctive paintings that captured his childhood memories and war experiences, scenes of everyday life, landscapes, portraits, biblical subjects, and American historical events. Pippin enrolled in art classes at the Barnes Foundation during autumn 1939 and spring 1940 semesters. 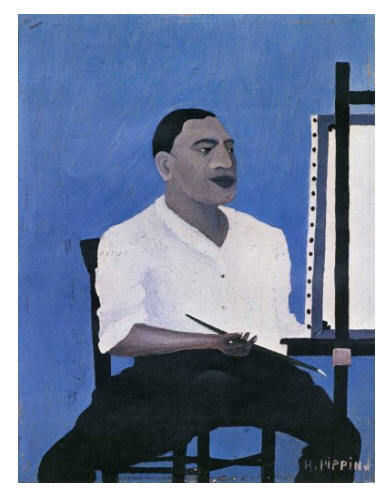 One of his best-known paintings, his Self-portrait of 1941, shows him seated in front of an easel, cradling his brush in his right hand (he used his left arm to guide his injured right arm when painting). 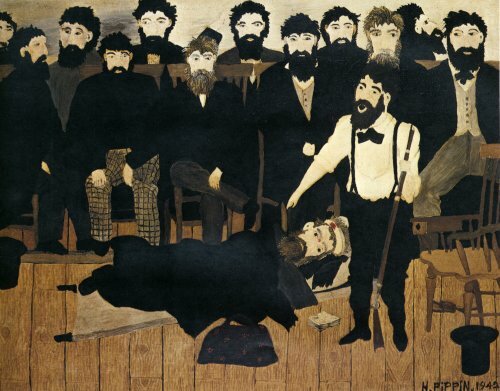 His painting of John Brown Going to his Hanging (1942) is in the collection of the Pennsylvania Academy of the Fine Arts in Philadelphia. 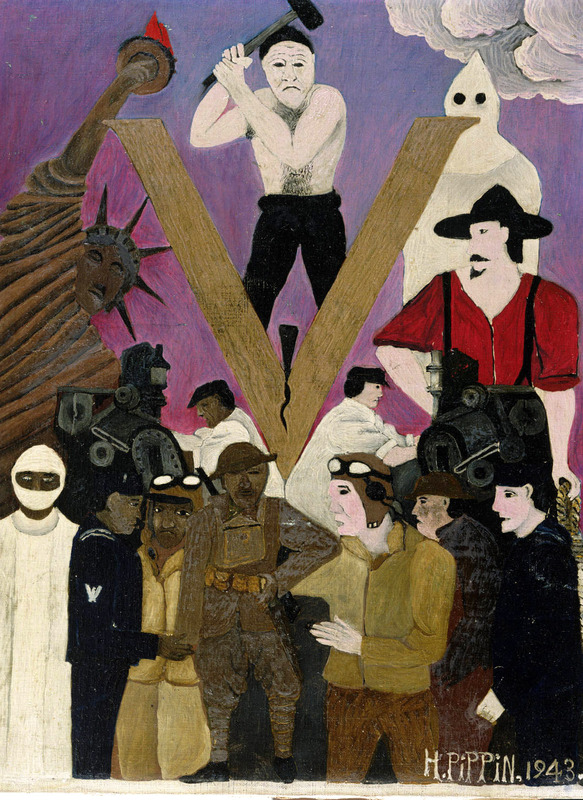 Among Pippin’s work there are many genre paintings, such as the Domino Players (1943), in the Phillips Collection, Washington D.C., and several versions of Cabin in the Cotton. 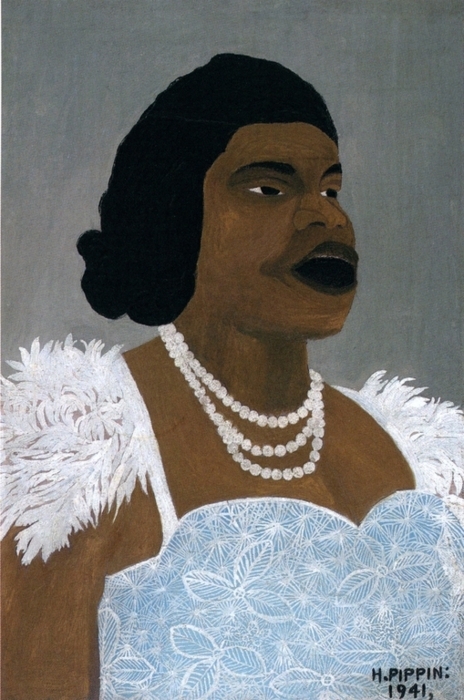 His portraits include a depiction of the contralto Marian Anderson singing, painted in 1941. He also painted landscapes and religious subjects. 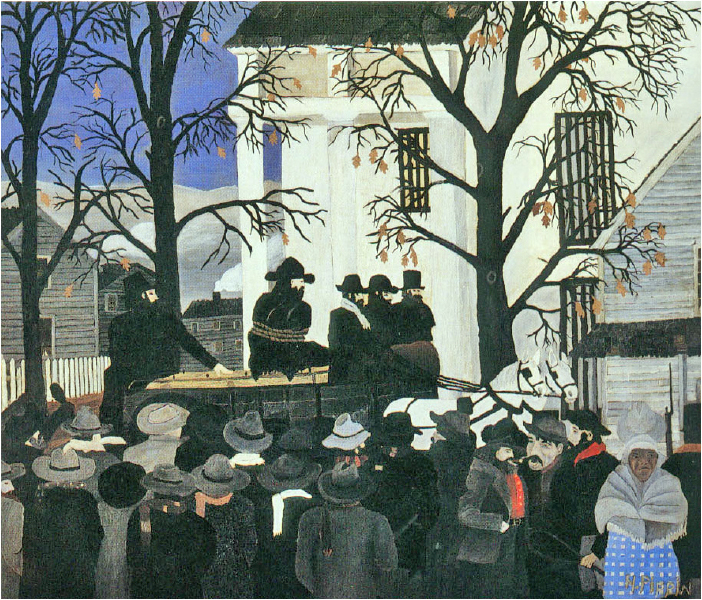 exhibition “Masters of Popular Painting” (1938) and his death at the age of fifty-eight, Pippin’s recognition increased on the east and west coasts. 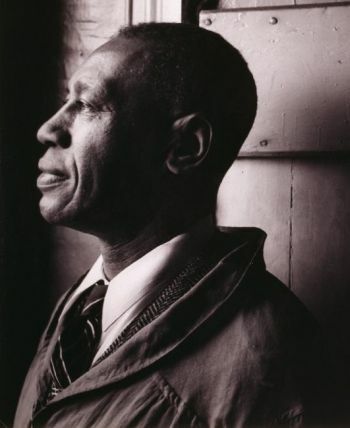 During this period, he had three solo exhibitions (1940, 1941, and 1943) at the Carlen Gallery, Philadelphia, PA and solo exhibitions at the Arts Club of Chicago (1941), and San Francisco Museum of Modern Art (1942), while private collections and museums such as the Barnes Foundation, the Philadelphia Museum of Art and the Whitney Museum of American Art, purchased his works. His paintings were featured in national surveys held at the Art Institute of Chicago, Chicago, IL; Carnegie Institute, Pittsburgh, PA; Corcoran Gallery of Art, Washington, D.C.; Dayton Art Institute, OH; National Gallery of Art, Washington, D.C.; Newark Museum, Newark, NJ; Pennsylvania Academy of the Fine Arts, Philadelphia, PA. and Tate Gallery, London, UK. Although he painted only about 140 works, concentrations of his work can be found in the Hirshhorn Museum and Sculpture Garden, Washington, D.C.; Pennsylvania Academy of the Fine Arts, Philadelphia, PA; Philadelphia Museum of Art, Philadelphia, PA; the Brandywine River Museum, Chadds Ford, Pennsylvania; the Phillips Collection, Washington, D.C.; and San Francisco Museum of Modern Art, San Francisco, CA. 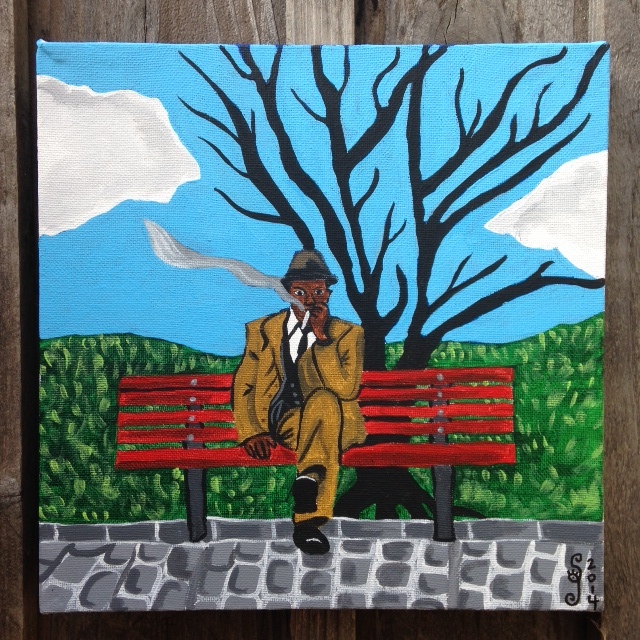 Here is my finished piece in tribute to Horace Pippin! He definitely defied classification in my book. 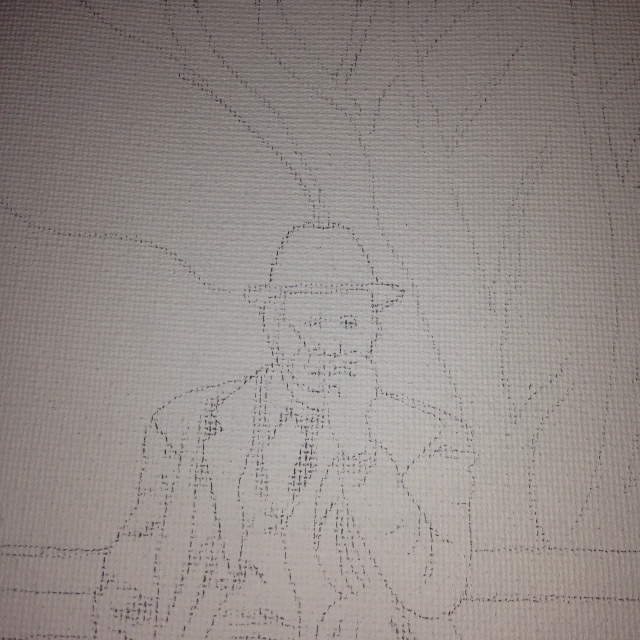 My initial sketch for the painting.